Katie & Scott & Simon & Cecily. There was a lot of exciting media this past year, and before MoviePass went down in flames, we actually managed to see a bunch of it! So here’s a list of things I enjoyed last year and would recommend to you, in the categories of movies, shows, books, podcasts, and music. Each category has an arbitrary number of things that I enjoyed most in that category. They’re intentionally unranked and I make no guarantees that you’ll actually enjoy them (but I hope you do). 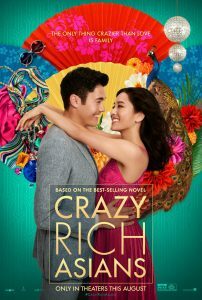 I was worried about Crazy Rich Asians because it had so many things going for it. A bevy of Asian actors headlining a major studio picture? Check. A modern romantic comedy fish-out-of-water story? Yep. It was everything I could want stepping into that theater and such expectations worried me. Could the film actually live up to such a high bar? But it did! It was a delightful movie with great performances all around. It had delicious-looking food shots, Asian parental tensions that felt overly familiar, and a climactic showdown over a mahjong table. It was the most Asian-American thing I may have ever seen in a movie theater and for that, I am grateful. I can’t wait to watch the sequels. I thought my jaw was going to fall off from how much I was smiling while watching Mary Poppins Returns. Over the past few years, either because I’m getting sentimental in my old age or because I’m an emotional mess or because the world is slowly breaking me, I find myself unexpectedly affected by “family” movies. I surprisingly teared up at Smallfoot and The Grinch. I think it comes down to this for me: I am no longer going to ding a movie for being “corny” or “predictable” if it does it sincerely. Instead, it swings in the opposite direction; it gives the movie heart. And oh boy, Mary Poppins Returns is like the Paddington movies in that it serves up 110% heart. Everyone involved in this movie is giving it their all with nothing but love. What makes the movie so impressive is that it is highly predictable. Every time I thought: oh, this is the part where this is about to happen, this would happen. But guess what? It still works! It even enhances it, because this is executed so well. 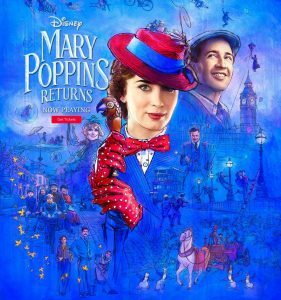 I understand that you – unlike me – may not always be in the mood for a big Hollywood movie musical, but if you are, you can’t do much better than Mary Poppins Returns. 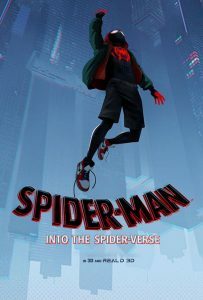 There was no movie that visually took my breath away like Spider-Man did. It looked like a comic book turned into a movie and reminded me that the very medium of cinema isn’t set. It felt like an evolution of the very way comics are adapted into movies and as long as we seem to have an insatiable demand for more comic book movies, I don’t see why a large number of them couldn’t look like this one. Let’s give the rest of the movie its due, too. The message is uplifting: you don’t have to be (white male) Peter Parker to be Spider-Man. Miles is an interesting and likable protagonist. The supporting cast of other Spider-beings are wonderfully humorous. It’s a good package, but whew, the visual style is what puts this movie on my year-end list. My first reaction when seeing the trailer was: do we really need another A Star is Born? Isn’t it arrogant of Bradley Cooper to think that he can tell this story better than it’s already been told, what, 3 times? My apologies, Mr. Cooper. This movie is a gem. Both the leads are strong here. 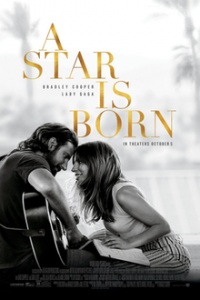 Bradley Cooper is gruff and lovable and frustrating in his portrayal of an aging musician with too many problems and Lady Gaga is astounding as the star being born that loves him. Their relationship is filled with love and hurt and despite the plot of this movie being spoiled by those three previous movies, it still manages to pack an emotional punch at every foreshadowed step. I usually sit through the credits on most movies out of habit, but for A Star is Born, I was still sobbing for the first half of the credits and just awestruck by the immensity of what I had seen for the second half. 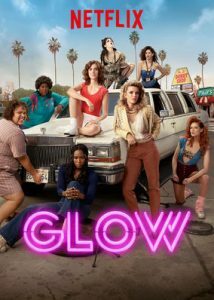 I typically look for new shows to put on here, because otherwise this list would just be me screaming about how everyone should be watching The Good Place, but I enjoyed Glow‘s second season so much that I want to give it a tip of the old hat. The show has always been unafraid to be a bit silly and a bit serious, and this mixture is served up well in this season. Themes of motherhood, friendship, and sexual coercion and power within the media industry are all mixed in with a wrestling show that is genuinely fun to watch. Alison Brie gets to lovingly chew the scenery at times and Betty Gilpin brings wonderful energy to a a strong female character stuck in a world that doesn’t respect or, in many ways, want one. Nary an episode went by where I didn’t find myself laughing heartily at one point and holding my breath at another. Katie watched the entire first season on her own, then suggested we watch it together, and then we rewatched episode one with her mom while on a visit. So, I feel safe saying this recommendation comes from both of us. You want to talk about heart? The Fab Five have big ol’ hearts and they’re pouring them out on every episode of this show. 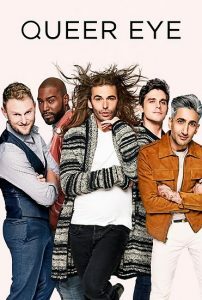 Huge ups to every member of the five here (though extra high fives to my fave Jonathan and Katie’s fave Tan and if you watch the show, we can *ahem* discuss Antoni’s “cooking”) and whoever casts the people they visit because the human interest stories that come out of this show are legit. Beyond the simpler self-improvement storylines, this show also manages to hint at how we can collectively start to open up our thinking of the idea of masculinity, which is my jam. I wish they did more there, but I also understand the formula and it works. 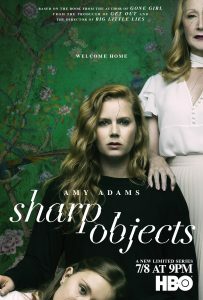 While the unfolding of the central mystery of Sharp Objects is ostensibly why I kept watching, the true draw for me was the way in which the town of Windgap and the personalities within it are drawn for us – like a landscape painting that reveals more details and different feelings with each look. The entire show feels like this – the pace is easygoing yet menacing, the characters beautiful yet haunting, the plot important yet secondary. To keep this up and keep it interesting episode after episode is quite the task and I applaud Sharp Objects for sticking the landing. Also, Amy Adams is a joy to watch and Patricia Clarkson is a treasure. I didn’t read enough books this year, so I’ve only got one rec here and I apologize for that. 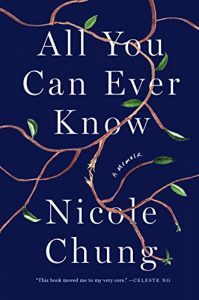 Ever since I first read What Goes Through Your Mind: On Nice Parties and Casual Racism, I have been a Nicole Chung fan. Her writing is personal and powerful. So to say that I was eagerly awaiting her memoir would have been an understatement. It’s a great book, y’all. The parts that I don’t have an immediate connection with – adoption and being raised by white parents – are wonderfully emotional explorations into what a transracial adoption does to all parties involved. The parts that do immediately connect – being a parent, trying to figure out who your parents are and who you are in relation to them, being Asian-American – often made me pause in my reading and take a breath. The best writing has me considering my identity, my humanity, and the lasting impact I have on the people I love, and Nicole’s writing is the best writing. I didn’t even know what Multi-Level Marketing companies (MLMs) were a few years ago. Then, as our family became friends with other families that had stay-at-home/part-time moms, Katie’s feed suddenly filled up with women hosting parties and being their own bosses and pushing seemingly random makeup and lotions. Where did these all come from?? Was this the new tupperware party? Was it a scam? 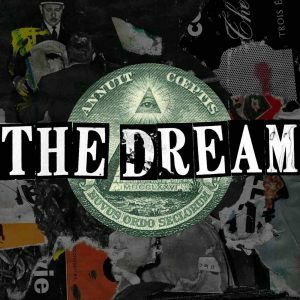 The Dream answers these questions and more by delving into MLMs with a ferocity of investigation that goes beyond the simple questions (wait, are these just pyramid schemes?) to the deeper ones (how did they get so popular? Why is it only women who seem to do it? What motivates the people who do get involved?). With such a singular focus, I dare say that The Dream is both enlightening and surprising for those that know what MLMs are and those that don’t. Sometimes, I just want some feminism in my ears. You know? 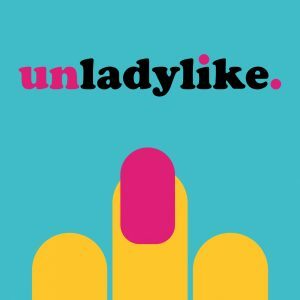 Unladylike is a fun interview show where hosts Cristen Conger and Caroline Ervin use interviews as springboards into discussions about feminism in the modern world. They also do their best to explain how the patriarchy affects us all in invisible ways, so it’s a great podcast even for amateur feminists (which, admittedly, most of us are, right). They talk to a decent number of activists and women who are forging room in spaces that have been typically male ones and also manage to keep things interesting by finding lots of unique ways in which women are being unladylike (because, it turns out, there are plenty of things ladies aren’t “supposed” to do). It’s hard to describe ZigZag without it sounding like a very strange mash-up of disparate pieces, but here goes. It’s a podcast about starting your own business after leaving a stable job, about crytocurrency and its uses for journalism, and about forging a woman-owned-and-operated media venture. So, yes, it’s a bit all over the place when I describe it. Yet amazingly, it doesn’t sound frenetic when listened to, episode by episode. 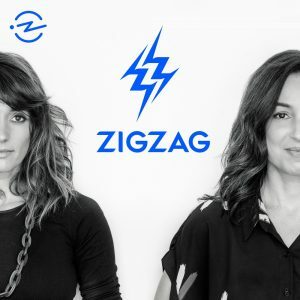 The two things that I really liked about ZigZag: first, its opening season went deep on cryptocurrency without boring or losing me and second, there is a sincerity to hosts Manoush Zomorodi and Jen Poyant and it comes through. Their fears, their risks, their insecurities – though the show is well-edited, both seem like two friends genuinely trying to figure out how to do the things they want creatively without destroying the practical lives they’ve worked to build. It’s a podcast that, I think, for any listener trying to be creative and human and stable all at once, makes you feel a bit less alone. Ethereal pop-folk (is that a genre? I don’t know things about music) is a type of music that I’ve always felt like should appeal to me but has never quite gotten its hooks in me. I’ve always sort of liked listening to Lana Del Rey or Regina Spektor or Lorde, but not enough to make them part of my solid rotation. 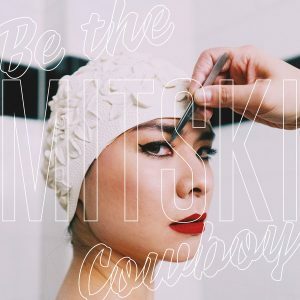 Maybe Mitski is nothing like those other artists. Like I said, I don’t know things about music. But to me, it sort of feels like Be the Cowboy took something like Lorde’s Melodrama and tweaked something magical deep down to make it stick in my brain. There’s a cohesive quality to all the songs that makes it clear that they all come from the same place, yet an individual beat and feel to each song that helps it stand out. My favorite tracks here are probably Me and My Husband and Nobody. I’ve been a huge Kacey fan since I randomly heard her single Follow Your Arrow many years ago. I have gobbled up all her music since then and still love putting on her previous two albums (Same Trailer Different Park and Pageant Material). Golden Hour is new and different, but just as good. It’s a bit more mellow, a bit more ethereal pop-folk (it’s a thing, right? ), a bit of pushing at the boundaries of what country music is and can be. It made the perfect soundtrack when we were road-tripping this summer through Montana and great background to an afternoon of work. 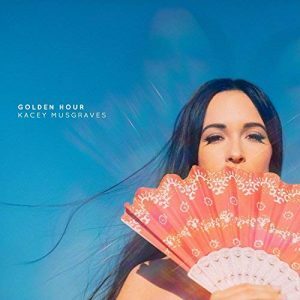 So, yes, I’m biased, because every album Kacey Musgraves puts out makes me smile, but there you go. Every track is wonderful, but I would probably pick Love Is A Wild Thing and Velvet Elvis as my favorites. If you want to talk more about any of these recommendations (or what your favorite pieces of media were from 2018), come talk to me or message me! I’ll write up my favorite games of 2018 over the next few days for one final piece of start-of-year-summary-wait-no-one-asked-for-this-Scott content.